January 2016 is almost in the books and if you’re anything like me, your new year’s resolution to lose weight has become quite the challenge. Although many people recognize the significant health benefits of healthier eating, smoking cessation and physical exercise, many have no idea where to start or falter early in their quest to lead a healthier lifestyle. Here are a few tips essential for success. Consult a physician or health care professional before starting any fitness or diet program. This is especially true for those persons who suffer from high blood pressure, diabetes, thyroid issues, asthma, heart disease and any other underlying medical conditions not mentioned here. Certain diet programs, including diet pills and other supplements may actually be contraindicated in patients with certain medical conditions and may actually do more harm than good. Additionally, exercise programs in individuals who have previously been sedentary may require specific adjustments and modifications to ensure patient safety. Set reasonable goals. The Mayo Clinic recommends using a SMART goal checklist. Specific. Delineate a set amount and time frame. Instead of just saying you want to lose weight by a certain month, a more specific goal would be to declare you want to lose 10 pounds in 6 weeks. People who set specific goals are more likely to achieve them than those whose goals are vague and nonspecific. Measurable. Being able to measure your goal will give you a better sense of how well you are doing in the process. For example, instead of setting a general goal of eating better and exercising more, a goal of eating 1,400 calories a day and walking 10,000 steps daily can be measured. Attainable. Set a goal that is doable given the time and resources you are privy to. If you don’t have a lot of time to work out or prepare your meals, then set goals that are reasonable and manageable given the circumstances. Realistic. Start low and begin slowly. Setting a goal to lose 10 pounds in 6 weeks is far more realistic than losing 50 pounds in 3 months. Furthermore, rapid weight loss can be dangerous and often leads to swift weight regain. 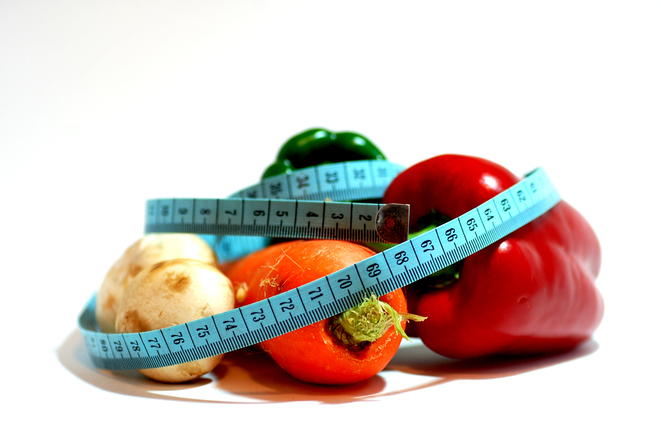 A healthy goal of losing 1-2 pounds per week is much more realistic and better for overall health long term. Trackable. There are numerous smartphone applications (i.e. MyFitnessPal, Pacer) and devices (i.e. Fitbit, Polar watch) that can assist with keeping track of your goals. This monitoring will help you evaluate your progress and make adjustments if necessary. Research has shown that it’s much easier to accomplish a goal when you have a good support system. Let family and friends know your weight loss goals so that they can help you stay focused and motivated. Having someone else holding you accountable may come in handy when you veer off course. Additionally, studies have shown that those persons with a good support system tend to keep their weight off longer than those who go at it alone. Losing weight is a journey and like any journey, there’s bound to be detours and pitfalls along the way. Some people are easily sidetracked and allow these pitfalls to derail the effort that they’ve put forth. Those who are successful at achieving their weight loss goals use these setbacks as learning opportunities. It’s imperative to understand that each day is a new day to make up for past indiscretions and recommit to the goals you’ve set for yourself. There’s nothing wrong with rewarding yourself for the work you’ve put in towards achieving your goals. Although some people will choose to reward themselves with a cheat meal for reaching a specific milestone, there are other non-food options to consider. Buying yourself a new outfit, or treating yourself to a spa day are other self-satisfying alternatives to celebrate the momentous occasion. Plus, it gives you more incentive and resolve to get to your next goal and next reward! 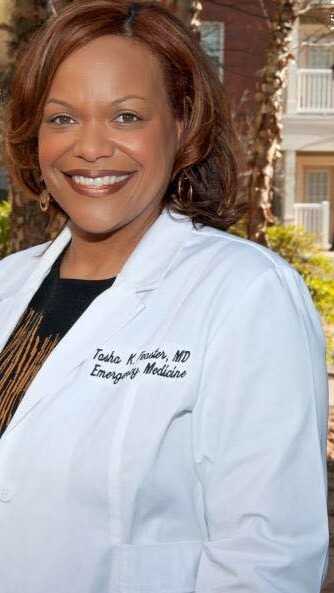 Tasha K. Feaster, MD is the Assistant Medical Director of the Emergency Department at Piedmont Henry Hospital in Stockbridge, GA. She is also the Medical Director for the University Health Services Center at Clayton State University.